Our community has 3,116 members, 246 online now. We’ve published 9,780 stories, shared 8,327 images, made 10,348 blog posts and written 121,546 forum posts. There was a clash of thunder and a flash of lightning. The rain lashed down, soaking Peter Donnie as he stood there looking back at the city. His rucksack on his shoulder, and a carrier bag with some of his clothes “All I have in the world. Not a lot to show for ten years of marriage.” He thought to himself. He stood there no emotion showing on his face as the city lights slowly drifted further away. Soon they would be gone and with them his old life. The boat launched to the left. 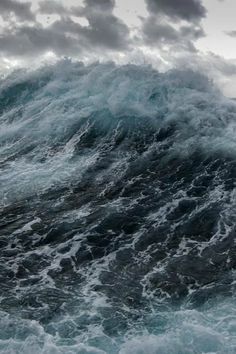 The sea was rough, but not rough enough to delay stay the departure. Peter took a step as a cold shiver ran over his wet skin. Everyone else was in their cabins, but not Peter. He had to watch his old life disappear before he could face his new one. He had come home early, to surprise her. What he had seen had made him feel sick, His best friend and his wife together. The embrace as they kissed, the sheets sliding off their naked bodies. Then She had seen him, the look of horror on her face. “At least Mike shows me some passion, he wants me, and I want him. I’m leaving you. I want a divorce.” She had said after a few moments. Almost ten years came down to that moment, “I’m leaving you, I want a divorce.” How dare she say that? Peter had snapped. He wasn’t a violent person, but something in her laugh and in the way Mike looked him. “They deserved it! You don’t mess with your best mates wife, that’s crossing a line.” He had known Mike and Laura for year’s friends long before he and Laura had married. Mike had been his best man at the wedding! “How dare they!” Peter snarled through clenched teeth. He knew his new life would be very different to his old. He breathed slowly allowing his mind to calm. He watched the lights disappearing from his sight. He turned heading into the hold, as the police discovered Mike and Laura’s bodies still in his bed.